Richard Branson: Time To Rethink 'Business As Usual' Richard Branson has built a global business empire around the philosophy "have fun and the money will come." The founder of Virgin Group now argues that it's time to rethink the way businesses function. In his new book, Screw Business As Usual, he says there's a way to make money and also do good. Entrepreneur Richard Branson has attempted to break several world records for sailing and ballooning. 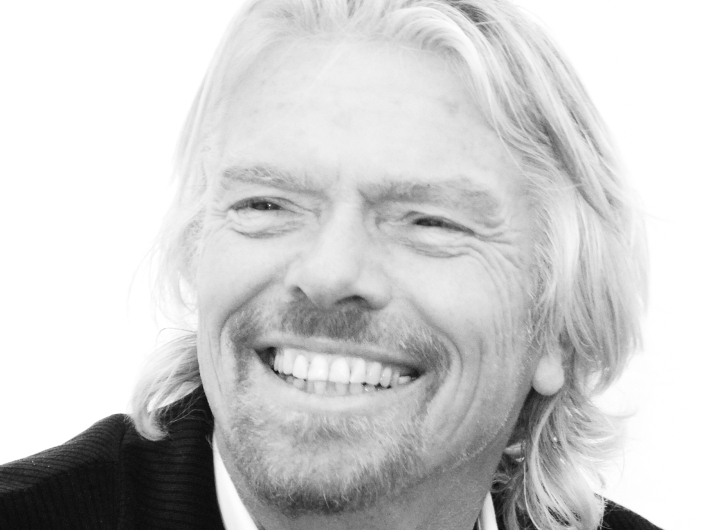 Richard Branson has built a global business empire around the philosophy "have fun and the money will come." 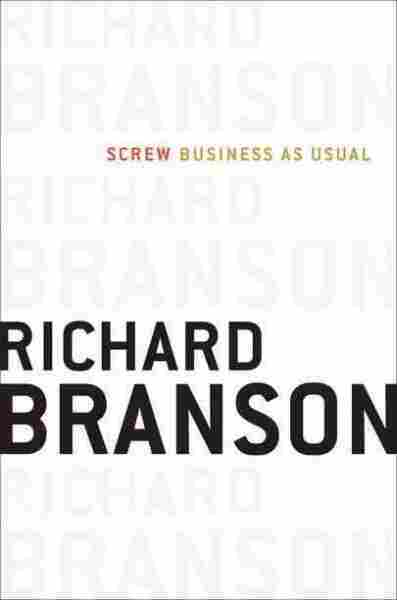 Now, Branson argues that it's time to rethink the way businesses function. You can make money, he says, by doing good. In a new book, Screw Business As Usual, he posits that businesses can make a profit and actively care about people, communities and the planet at the same time. Branson joins NPR's Neal Conan to talk about his new philosophy. "We have a business that some people feel pollutes, and I happen to agree with them. ... And so on the basis of trying to do good and, you know, hopefully turn a profit, what we did was we pledged that we'd put all the profits from our airline business into trying to develop clean fuels. "And in the process, we have come up with fuels — algae-based fuels, isobutanol-based fuels and other fuels — that we think will power the planes in the future so that, you know, by 2020 I hope that our planes will be powered on fuels that are clean fuels and are not polluting the environment so that we'll have a green airline and an airline that actually has fuels that will be hopefully cheaper than the dirty fuels of the past. So [we're] doing good and also turning a profit at the same time. "And [we hope to sell] the clean fuels to other airlines. I mean, the exciting thing about the breakthrough with clean fuels for the airline industry is there's only 1,700 pumps in the world that fill up the airlines. So unlike having to convert, you know, all the cars' or all the lorries' petrol stations, once you've actually got the clean fuels, it's relatively easy to, you know, get it to the airplanes. "And ... we've definitely cracked the technology. Now we're just trying to be able to produce the amount of fuels that we need to satisfy our own needs and then other people's needs." "My very first venture was a national student magazine to try to campaign against the [Vietnam] War. And so I wanted to be an editor. I wanted to bring the magazine out. And in order for the magazine to survive I had to worry about the printing and the paper manufacturing and the distribution. And, you know, I had to try to, at the end of the year, have more money coming in than going out. "With space travel, [it's] no different. You know, in 1990 I read the name Virgin Galactic Airways. Loved the name. And set out to try to find an engineer or rocket scientist in the world who could build a safe, reusable rocket that could take people to and from space and we could start a whole new era of commercial space travel. "And I was fortunate enough, after many visits to many wonderful, weird people to come across Burt Rutan, who is a genius in the Mojave Desert. And SpaceShipOne was born and had three flights into space that won something called the X Prize. And from there, we're building SpaceShipTwo, which is ... a beautiful spaceship that is very, very, very nearly completed and will be ready from about next Christmas onwards to start taking people into space." "I read a fair amount [of science fiction], and you know it was certainly inspirational. I have to pinch myself to think that we might be able to make some of [what I've read in science fiction books] come true. And from, you know, small ideas, bigger ideas emerge. So we're starting with suborbital space flights and we'll then go into orbital space flights and, you know, maybe one day we'll send people on a one-way voyage into the depths of space as per the science fiction trips. "And actually, we did a fun April Fools' thing with Google a couple of years ago, which we called Virgle. And we looked for volunteers to go on a one-way trip to Mars. "And surprisingly, a large number of people who fell out with their partners contacted us, saying that they would love to fly on a Virgle spaceship. But out of April Fools' jokes come real things, and I wouldn't be surprised, within the next 50 years, [if] there are one-way trips heading out into space with people on it. It would be very exciting."